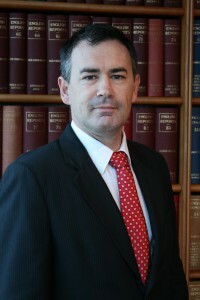 Alex Nelson is a Brisbane Barrister / Mediator specialising in defamation. He knows that preparation and planning are the keys to the successful resolution of any matter, whether in court as a Barrister or in a mediation. He has proven results in mediations both as an advocate for a disputing party and as the Mediator. While he can act as the court appointed mediator or a privately appointed mediator in any dispute, he often sees that, in business mediations, there are great opportunities for a win/win outcome. Alex has more than 20 years of broad legal experience including his time as an Army Legal Officer, 10 years as a solicitor in private practice and 9 years as a barrister. This experience enables him to bring a creative approach to resolving disputes, finding leverage where others have so far been unable to. For a full day Brisbane Mediation including reasonable preparation, Alex charges $3,000 plus GST. It could save you a small fortune on the legal fees of going to trial and it could produce a better result for you. After hours mediations can be arranged. He is an Australian Nationally Accredited Mediator and can conduct a mediation anywhere in Australia. Acquittals for Murder and acquittal for Manslaughter and other serious charges. Successful in obtaining leave to appeal 12 years out of time and in reducing the sentence from 20 years to 13 years. Obtaining judgment in the Supreme Court of Queensland against 5 defendants under r374 for non compliance with rules and orders (the “no shenanigans” case) and then successfully opposing an appeal against that judgment. Obtaining Queensland’s highest general damages award for defamation since the introduction of the national uniform Defamation Acts. Setting aside (or supporting as the case may be) Statutory Demands, appearing in winding up applications and associated litigation. In court you can trust him to read the brief thoroughly, to know the facts and apply them to the law achieving the best possible outcome for the client. Alex Nelson, Barrister and Mediator, Proudly powered by WordPress.